I went back and forth about the cake. I didn’t know if I wanted to go with cake or cupcakes. I couldn’t decide…so I went with both! Dan and I made the cake topper airplane out of Crayola Model Magic. Derek loved seeing the airplane on everything. He would get so excited every time he saw it. For the cupcakes, I added flags. Some with the airplane graphic and the others with his age, 2. 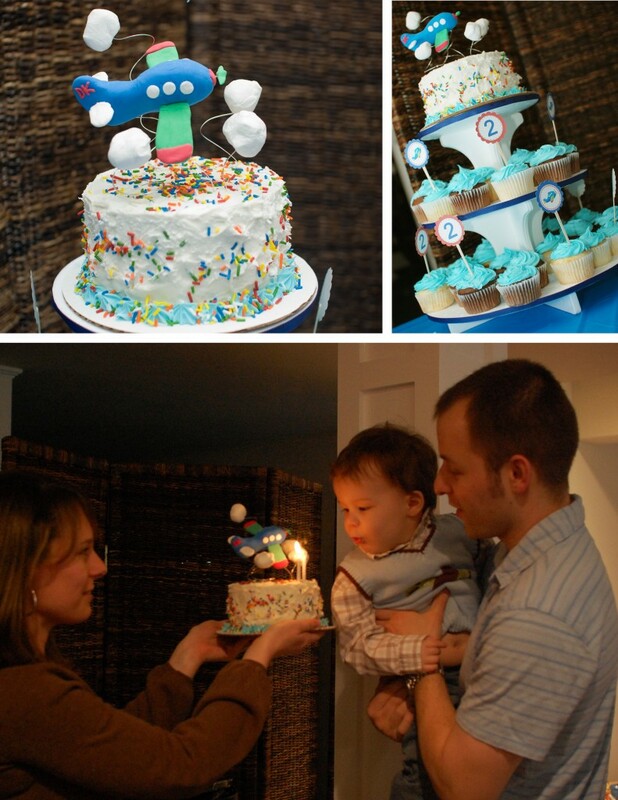 Aww, I love the picture of him blowing out his candles. Such a big boy! I probably got a little carried away with the airplane theme. 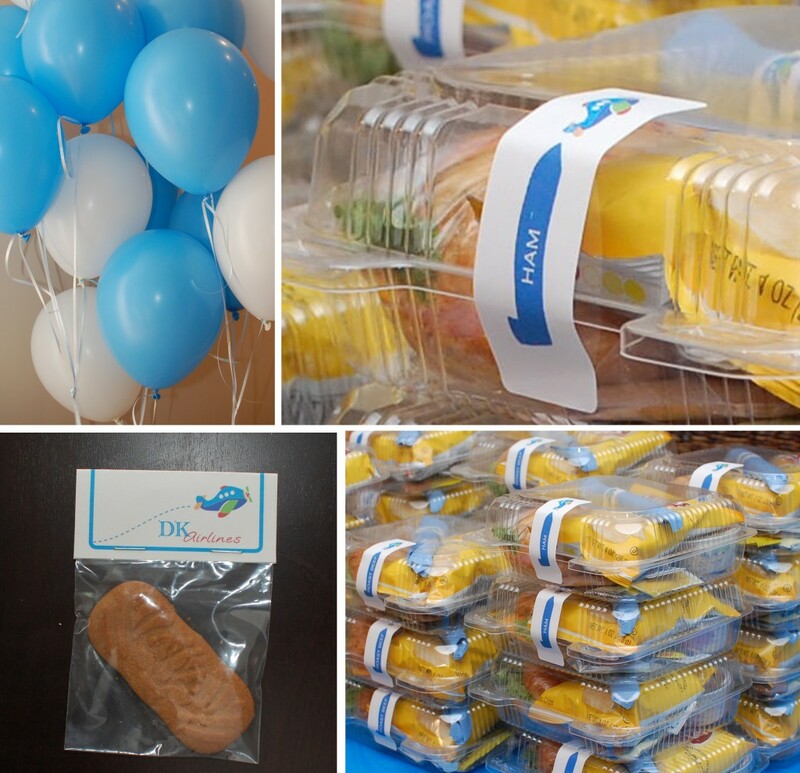 I decided to serve the guests, pre-packaged lunches. 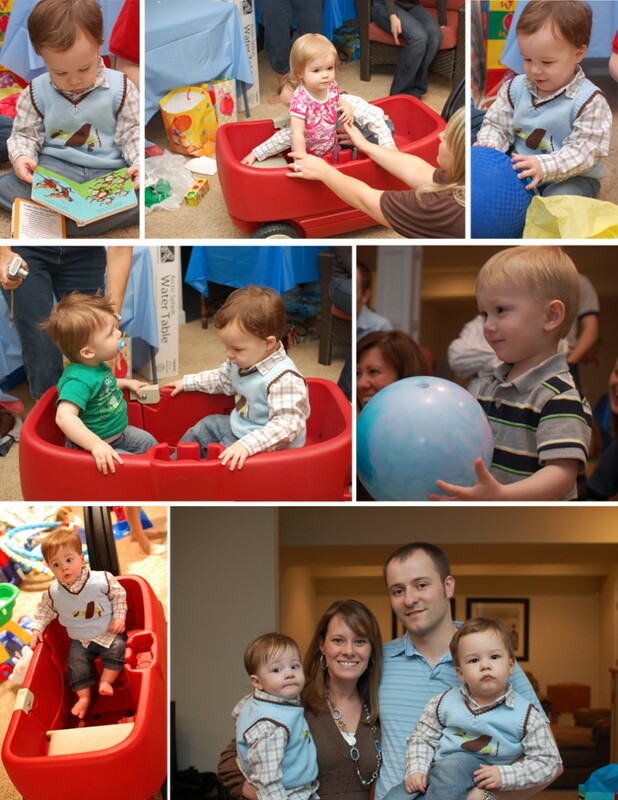 The kids had a great time playing with all the toys Derek received. Thank you to everyone that helped us celebrate Derek’s birthday! How do I go about ordering this invitation?